When you want to get started growing your own garden, it may feel intimidating at first. It’s so exciting to think about watching little baby plants sprout up where the seeds were set, knowing that they’ll eventually turn into mature vegetable plants. But what do you do if you don’t know how to start a garden? Don’t fret. There is certainly help available to you. Naturally you have questions, and we’ve got some answers to help you learn easily and simply how to start a garden in your backyard. With these tips and a highly successful method for gardeners of all levels, you’ll quickly learn everything you need to know. Choose a place for your garden that has at least 5-6 hours of direct sunlight each day. Also you may be well served to pick a place that you see regularly in your daily routine. This will naturally cause you to care for your plants by watering and weeding them each day, until it becomes a regular habit. Often when people are asking how to start a garden, what they want to know is how to prepare the beds. The answer to this depends on what the plot you plan to use is currently like. The goal is to have a place where the soil is dark and fertile, without rocks or weeds or other debris. If you are beginning with a plot that already has grass, this can actually be to your advantage as long as you are planning ahead. Beginning in the autumn, mark out the size of the garden you plan to use and spread newspaper (5-10 pages thick). Add a bit of water to make the paper stick, and then spread compost over the top of the newspaper. If you let this sit over the winter, for four months at least, when you go to plant in the spring you’ll find that the decomposition of smothered grass and newspaper has left you with incredibly rich soil! If you are using raised beds, you may want to incorporate rocks you already have around your garden to build up the beds. Try having them built in the autumn. Fill the beds with a mix of compost and topsoil and let it sit over the winter so that you are ready to plant in the spring time. Once your soil is ready, the weather is cooperative, and you have your seeds and plan, it’s time to get started. 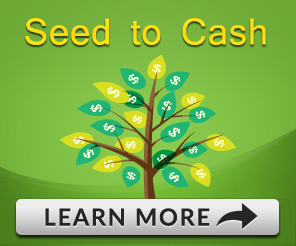 Taking advantage of a program such as Seed to Cash allows you to start small and follow the exact instructions which you know come from proven success. Not only will you have fresh vegetables for your family, but you’ll be able to make a profit by selling your crops to friends, neighbors, or farmers’ markets. 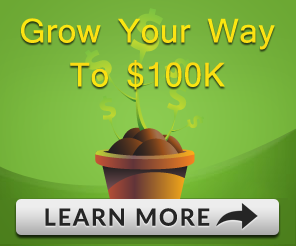 As it turns out, you won’t just learn how to start a garden, you’ll be learning how to start a gardening business!